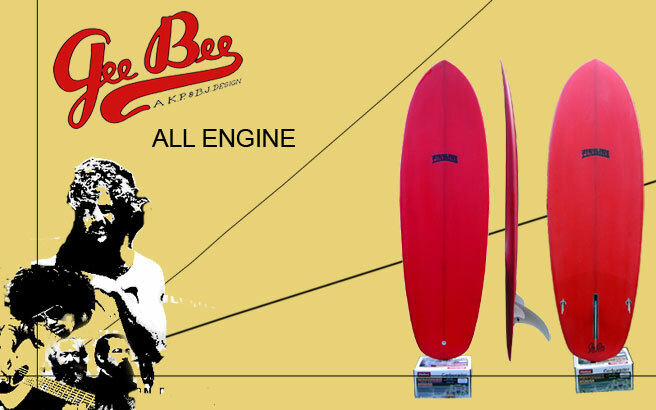 Like its namesake, the GeeBee all about carves and speed in a small (5”6-6”3) platform. S railed, S decked with a stepped displacement hull that gives it a lot of movement for so wide a board. Fins of choice for all sizes are the Greenough (of course!) 4A 9” or the Liddle L-Flex 9B in volan, with or without the side fins- it doesn’t need ‘em, but they help in really steep situations.